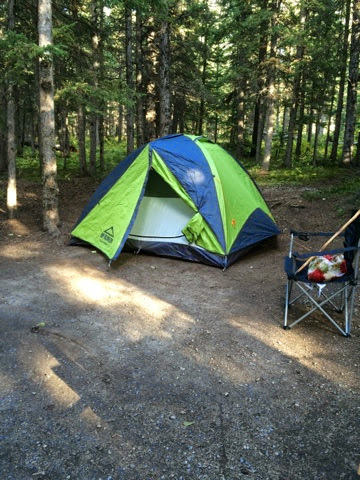 I was lucky enough to spend the last few days camping at Bow Valley campground just about an hours drive west of Calgary. The weather was wonderful the campfire warm and the night sky amazingly bright with stars. We even could see the stars of the big dipper reflecting in the Bow River. It was the most beautiful thing. 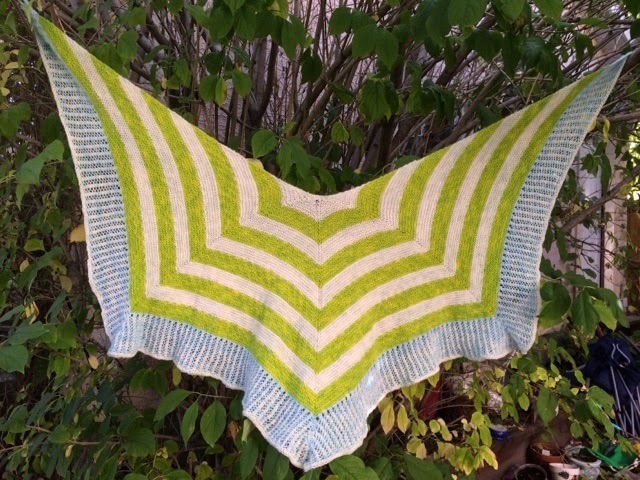 Saturday afternoon there was even enough time for me to finish off my third Rafu-Sen shawl. I call this one Blue Bird Nest. 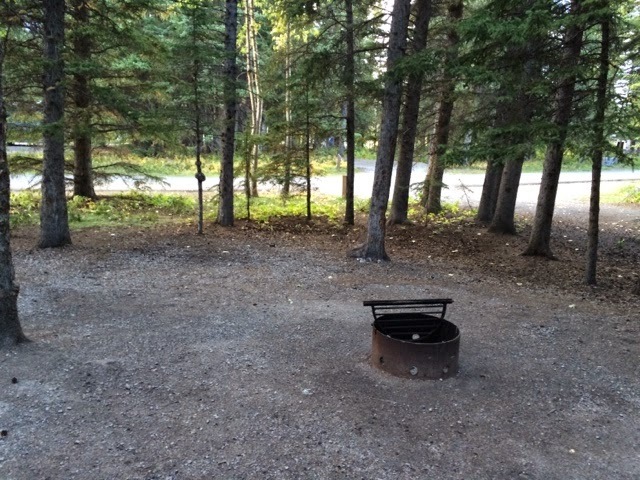 We saw lots of squirrels and chipmunks in the campground and thankfully no bears, although it is bear country and everywhere you look are signs warning you to keep all food locked up in you vehicle. We did however see lots of birds. 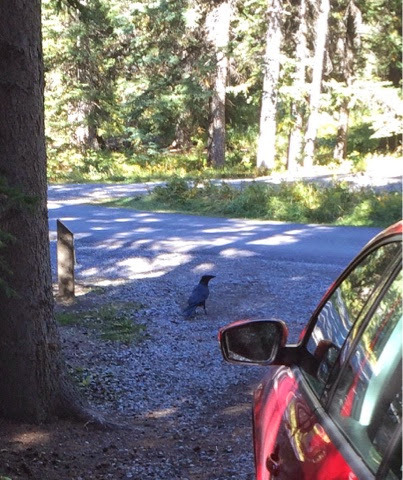 The birds are not shy at all and a huge Raven walked through camp like he owned it. I was not quick enough with the camera. But did get this shot as he walked away. Gray jays, also called Whiskey Jacks are the most interesting birds of all. They boldly swoop into camp and circle around the picnic table like a band of thieves ready to grab your sandwich right out your hand. Luckily we were not robbed this time. In fact one left behind a little gray feather, almost as if it was a calling card reminding us all that they would be back! I will definitely be back again. I had no idea that such a great campground was close enough to pop out for the weekend and yet feel a million miles away. Here are a few pictures, although in no way do they do justice to the beauty of the place.